We are a flip-flop and shorts kinda family. As soon as the warm weather hits, we are in our flip-flops faster than you can say Kool-Aid. And of course, the minute we get a warm snap, we are thinking about lemonade. We are starting to see some very nice lemons show up in our local grocery store. I could do without the bugs and humidity when summer eventually gets here but I do love the changing of the seasons. Spring is officially here! And good-looking lemons are one of those signals that warmer weather is headed this way. I make this lemonade a lot in the warmer months. I like my lemonade to taste very lemon-y. And sometimes, well, sometimes lemons themselves just aren’t lemon-y enough. Do you know what I mean? Sounds crazy, I know. How can a lemon not be lemon-y enough? It’s a lemon for crying out loud! But not every batch of lemons are created equal. So I give them just a little help, that’s all. Give this batch a try and let me know what you think. Put each lemon in the microwave for about 15 seconds before squeezing. This will help the lemon give up more juice. Slice each lemon in half and hand squeeze or use a lemon juicer to extract juice from each lemon half. You want to get about 3/4 cups of juice in total from all your lemons. Run your lemon juice through a strainer to get out all the seeds and bigger pieces of pulp. Pour lemon juice into a 2 quart pitcher. Add 1 cup of sugar and lemon extract. Fill pitcher with water until it reaches the spout lip. Stir until all the sugar is dissolved. At this point, do a taste test. Not all lemons are equal. Some are more sour than others so you’ll want to make sure your lemonade is to your liking at this point. It may need a bit more sugar or perhaps you want it more sour and want to add a a bit more lemon juice. Heck, you may even want to add a bit more lemon extract. We prefer a sweeter lemonade but everyone’s tastes can be a bit different when it comes to lemonade. Now, go sit on your porch or balcony or favorite easy chair and take nice, slow sips of this concoction. And think of summer breezes and fresh cut grass. Ahhhh – that’s the stuff right there. Cook’s Tip: Don’t throw out all of those lemon rinds yet. Cut them up in chunks and throw a few into your food disposal. It will not only freshen your disposal but leave it smelling heavenly! This Fresh-Squeezed Homemade Lemonade has a little secret ingredient that really kicks up the lemon flavor. 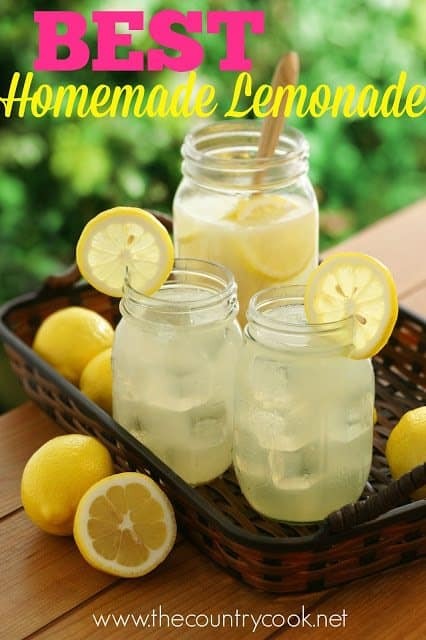 It is the best, most refreshing lemonade you've ever tasted! So good for summer! Put each lemon in the microwave for about 15 seconds before squeezing. This will help the lemon give up more juice. Roll the lemon in your hands. Slice each lemon in half and hand squeeze or use a lemon juicer to extract juice from each lemon half. You want to get about 3/4 cups of juice in total from all your lemons. Add 1 cup of sugar and lemon extract. Fill pitcher with water until it reaches the spout lip. Stir until all the sugar is dissolved. At this point, do a taste test. Not all lemons are equal. Some are more sour than others so you'll want to make sure your lemonade is to your liking at this point. It may need a bit more sugar or perhaps you want it more sour and want to add a a bit more lemon juice. You may even want to add a bit more lemon extract. Brandie, I just adore the look of your lemonade. I've never made it before and will have to change this! I also love your comment about the rubbish. Funny you should mention it, since we had melon and so I should add the lemons with it! Great advice! Hi! I'm having a linky party over at my blog called A Themed Baker's Sunday which this weeks theme is cakes! If you have any cakes i would love for you to join! If not, come back nexxt Sunday to see our new theme! This sounds delicious. I have never made lemonade from scratch before. Please stop by http://www.laughloveandcraft.com and link up to my Share the Wealth Wednesday Link Party! I'm your newest follower! Ooooh, the husband just LOVES lemonade. Actually, it's one of my memories of him on our first date – getting a big ol' lemonade at the Fourth of July fair. I'm sure he'd love it if I made this for him! 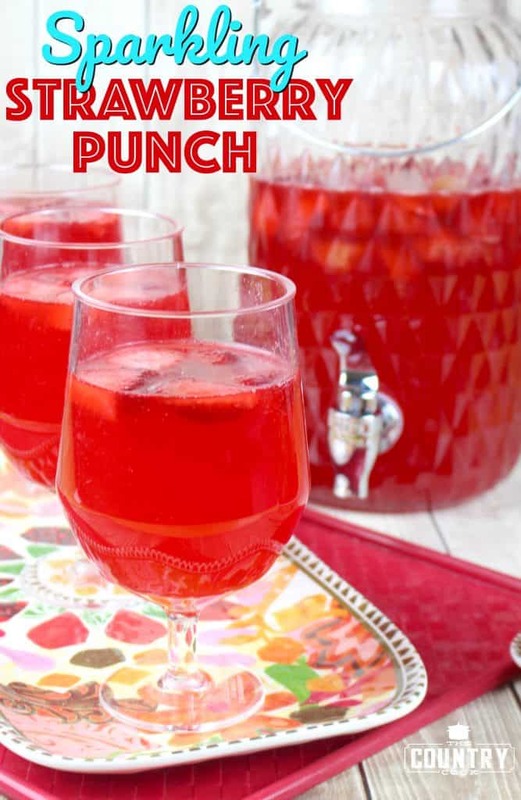 I found this at a link party and This sounds refreshing and AMAZING! I feel like I need to make this asap! I am your newest follower and I would love if you would check out my blog and follow me too! Love that fresh squeezed lemonade, but never tried the the lemon extract though. Great pic! My husband had had kidney stones, so a preventative, my husband's Dr. told him to drink a glass of fresh squeezed lemonade every day. Somehow it keep the stones from forming! We bout a juicer to make the process easier. I found your site via your guest post at Becky's blog! So glad I found it! This lemonade looks so refreshing and so much better than the powder that I usually mix up. I will be giving this recipe a try this summer! I would wear flip flops year round and on every occasion if I could. No bashing from me on the lemon extract in your lemonade! I put onion powder on my onions while I'm sauteing them. I think your lemonade looks delicious! OH MY! 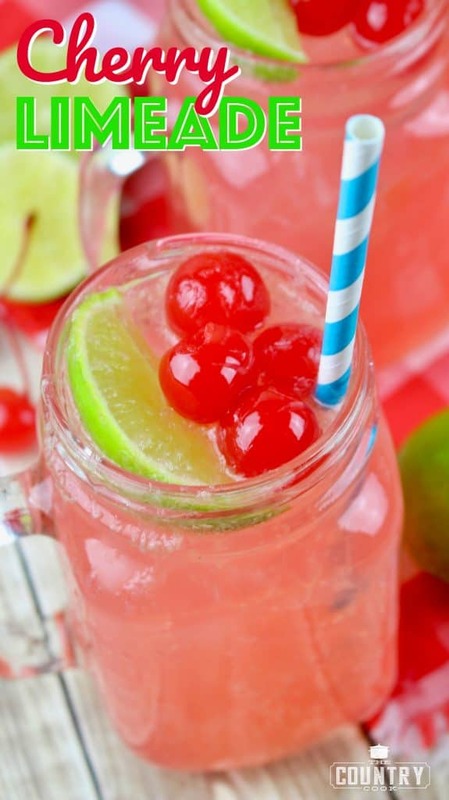 This is making me want a nice cold glass of lemonade right now! I am already a follower of your blog, but I would love it if you would come stop by my blog and follow me too! I am constantly looking at your recipes and would love to be blogging friends! thanks! Thank you so so so so so so much! I have been wanting em some frsh lemonade for a while now and it is just so perfect for summer time. My hubby is for sure gonna thank you 🙂 I found this project through TT&J linky party! Thank you for sharing. Come say hi! I love new followers.